White 2014 SUV/Crossover. Beige interior. It features 360 degree camera, 17 inch wheels and analog clock. Automatic Toyota Fortuner with 17 inch wheels, AUX audio in, xenon headlights, grey/silver on the outside, beige interior. Toyota Fortuner with many features, including rear camera, CD player, air conditioning. Grey/Silver with beige interior. Automatic, 17 inch wheels, climate control, tuner/radio, beige interior, white exterior. Automatic Toyota Fortuner with 16 inch wheels, AUX audio in, tuner/radio, beige interior, white exterior. This is a white SUV/Crossover with beige inside and CD player, power locks and 15″ wheels. Automatic Toyota Fortuner with 17 inch wheels, power locks, parking sensor rear, white on the outside, beige interior. 2007 Toyota Fortuner black SUV/Crossover, beige on the inside with tinted windows and navigation system. 16″ wheels. GCC spec 2016 Toyota Fortuner, white SUV/Crossover with tan interior. It features paddle shifters, 17 inch wheels and roof rails. GCC spec Fortuner from 2016 with a 6 cylinder engine. Brown SUV/Crossover with tan interior. It has USB and 4WD. GCC spec, white 4 cylinder SUV/Crossover with beige interior. It has MP3 interface and leather seats. Automatic 2017 Toyota Fortuner with 18 inch wheels, alarm, xenon headlights, brown interior, grey/silver exterior. 4 cylinder white 2012 SUV/Crossover. Beige interior. CD player, 17 inch wheels and AUX audio in. 2008 Toyota with tuner/radio, AUX audio in, navigation system. Grey/Silver with beige interior. Reduced price! White Toyota Fortuner ONLY FOR EXPORT from 2016 with beige interior. Automatic Toyota Fortuner with 17 inch wheels, AUX audio in, airbags (front and side), black on the outside, beige interior. Automatic 2017 Toyota Fortuner price AED 105,000, with 18 inch wheels, cruise control, rear TV screens, tan interior, grey/silver exterior. GCC spec. 2017 Toyota Fortuner with cruise control, power locks, climate control. It has tan interior and is White. 2015 Toyota Fortuner with cruise control, tuner/radio, 4WD. It has beige interior and is White. Automatic GCC spec Toyota Fortuner with 17 inch wheels, AUX audio in, 4WD, tan interior, blue exterior. Automatic 2016 Toyota Fortuner with 18 inch wheels, alarm, rear camera, tan interior, white exterior. GCC spec. GCC spec 2015 Toyota featuring tuner/radio, xenon headlights, LED headlights. Grey/Silver with beige interior. 2016 Toyota Fortuner with features such as cruise control, rear camera, CD player. It has brown interior and is White. GCC spec. Sergio - When I looked for used Toyota Fortuner for sale in Dubai, UAE, I found many models at a good price including GXR, EXR and VXR trim. But my heart was set out for a TRD. I couldn’t find one so I went for an SR5 model. It may be down on specs, but they are great cars for the UAE especially the desert. Pros: Big appearance and reliable. Cons: Small power with four cylinders. Khalil - My pre owned Fortuner equipped with a 2.7-litre VVTi engine is fantastic. It may have a small driving force, but it can fit my seven-person family and hit the dunes on the weekend. The options aren’t great in these cars, but next year I'll upgrade to a Premium trim one. Pros: Cabin space and engine. Obaid - I was looking to buy an import 4Runner, but I couldn’t find a 2016 one at a reasonable price. Instead, I bought a 4.0 V6 Fortuner second hand in Dubai. Perfect car for the climate and driving through the desert is easy with this much power. Pros: Seating, price and V6 motor. As with any Toyota, these cars are reliable and cheap to maintain. 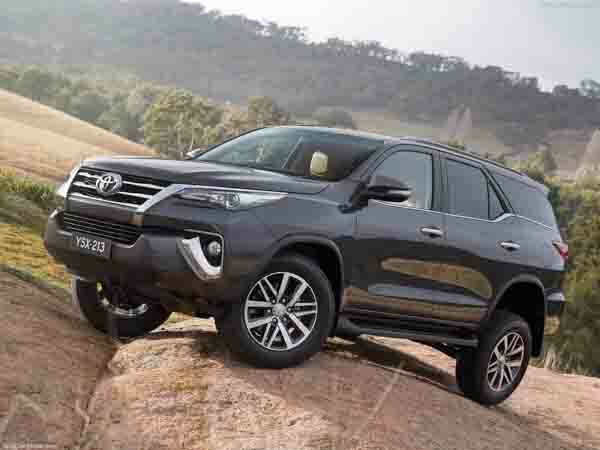 Finding a buyer to buy a second hand Toyota Fortuner for sale in Dubai, UAE is easy as the brand and model are popular in the region and export markets. Although it may look like an SUV suitable for the road, it has a pretty firm grip off road and can rival most on the dunes. Without a wallet-destroying price tag, the options aren’t as bad as one may think. If the inline four isn’t enough, Toyota offers a V6 version for extra grunt. Only debuting in 2005, the Fortuner perfectly slots in between the iconic Land Cruiser and RAV4 and serves as a mid-level SUV. With necessary specifications across the board, it’s variety of engine makes up for that and the fact it can haul seven passengers in comfort. 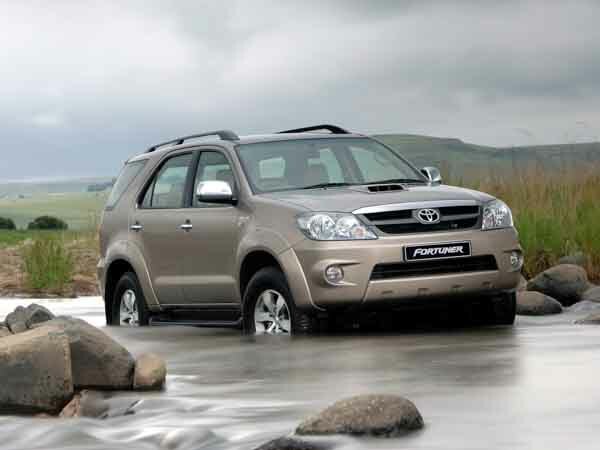 The Fortuner isn’t sold around the world and is mostly exclusive to the Middle East and certain parts of Asia. Road rivals: Nissan Xterra, Ford Explorer and the Kia Sorento. 2005 saw the mid-level SUV hit the markets in certain parts of the world. With a unique shape compared to the RAV4 and Land Cruiser, the Fortuner fitted in immediately, and consumers just couldn’t get enough. With a front end consisting both the Innova and Hilux, this SUV had it’s own unique look. Interior options as standard are seven seats covered in beige fabric, steering wheel, essential accessories some of which were powered and 16-inch rims on each corner. Depending on trim optional extras include media inputs, cruise control, Bluetooth, xenon headlights, rear spoiler, rear parking sensors, roof rails and a multi-function steering wheel. Navigation nor a premium sound system were never available on the list as was a cool box. The first two could be added as third party applications. In 2008, new features included a new front end with revised headlights and tail lights, power seats, Electronic Brake Assist and a lighter interior shade. 2011 saw the popular SUV receive another refresh. After just three years, a new face was attached inclusive of the hood, grille, headlights and bumper. Similar changes were made to the rear end. In GCC countries four variants of the Fortuner are available: EXR and TRD both of which have 2.7-litre motors and GXR and TRD Sportivo which have 4-litre engines. Power from both engines are either mated to a manual or automatic gearbox and channelled to the rear wheels or all four of them. As the second generation rolled in, demand for the vehicle was higher than ever. 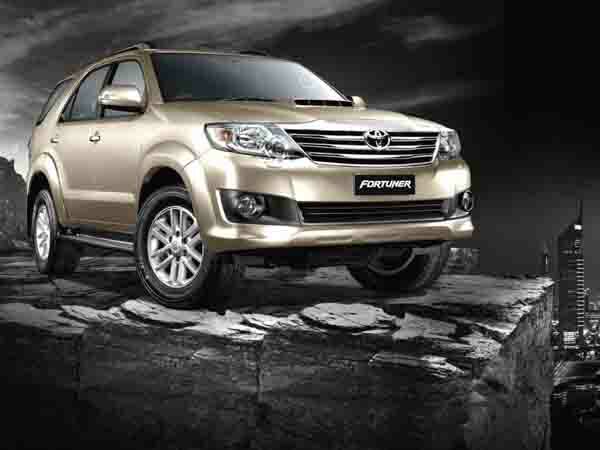 Fortuner’s received a massive overhaul design wise to both the exterior and interior. Borrowing many styling cues from sedan’s in the Toyota camp, thinner headlights with xenon bulbs come as standard with optional LED lights mounted atop and act as fog lights underneath. The grille has been tightened up allowing for an enlarged bumper. Wedged in between the grille and headlights are metallic highlighted strips. A new hood is attached to cover the engine, along either side, the C-Pillar is now blacked out to give the vehicle a floating roof style. Around the back, Toyota has also thinned out the rear lights which can now be upgraded to LED’s. A reshaped tailgate along with a new rear spoiler and trim pieces are available. Inside, the cabin received a massive overhaul distinguishing the vehicle from Hilux and Innova models. Digital A/C, reverse camera, parking sensors, 17-inch alloys LED interior lights, cruise control and navigation all became part of the additional options. Fabric seats and basic options from the previous generation are here to stay. Both engines return to power with the rear wheels or all four of them along with both the manual and automatic transmission to control the two.